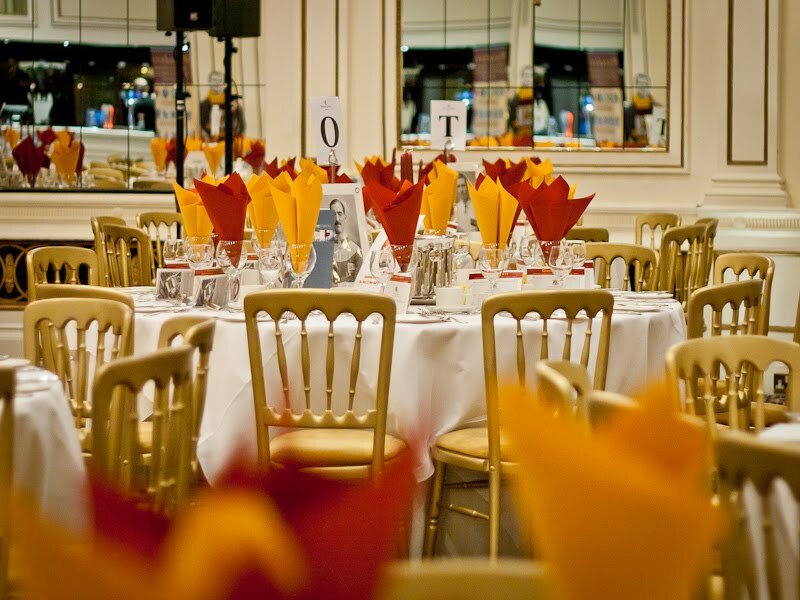 A long glorious day began at Bradford Industrial Museum with the arrival of the FA Cup and ended with a magnificent dinner at the Midland Hotel, attended by over 200 people. Both Calendar and Look North were there as well as various other members of the press. All agreed that the centenary of Bradford City's finest hour had been celebrated in a fine and suitable style. In the coming days and weeks we would like to ensure that future generations will learn of what took place yesterday. Who knows, in a hundred years' time a future generation of supporters could be learning of these celebrations when they mark the bi-centenary. If you have any images from the day that you would like to share, please either upload them to our Facebook group page or email them to us at bantamspast. Tuesday 26th April 2011 is the centenary of Bradford City’s greatest feat: the winning of the FA Cup. A club only eight years old, having already established itself as one of the top five clubs in the country, won the greatest and most coveted prize of the age. It was an achievement almost without parallel. Designed and produced by Bradford company, Thomas Fattorini, the current trophy (the third) was first presented to Bradford City captain, Jimmy Speirs, after the team's 1-0 victory in a replay against Newcastle United at Old Trafford, Manchester (itself then only a year old, thus its first big fixture) on 26 April 1911. The celebrations for this significant footballing event reach a climax today when the trophy will be coming home to the city of its creation. 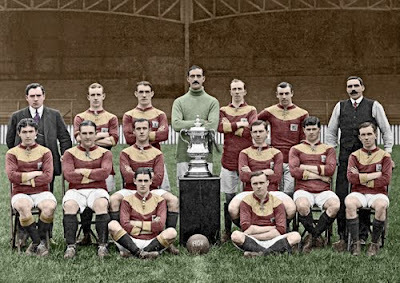 From 11am to 3pm it will be on display in front of a life-sized display of the team image above, as part of the exhibition When the FA Cup Came Home at Bradford Industrial Museum. Also on display are six of the players' winning medals, two shirts from the final, the original Fattorini hand-drawn design for the trophy and much more. Skipton’s Aireville School are welcoming representatives from Bradford City, bantamspast museum, the Yorkshire Regiment and the PFA. A replica of the FA Cup will be at the school and pupils who are undertaking a pilgrimage to the battlefields of the Great War, including the final resting place of Jimmy Speirs, will be presented with replica shirts from the Edwardian era. 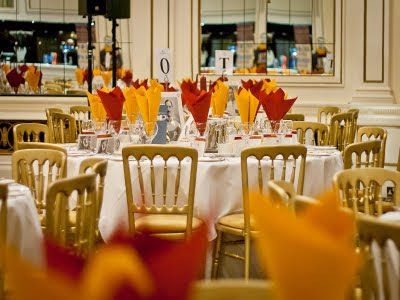 A centenary dinner will take place at the Midland Hotel during the evening. 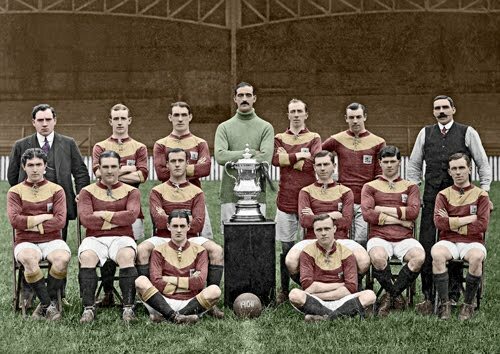 The FA Cup will be at the hotel exactly one hundred years to the minute when the Bradford City players returned from Old Trafford to the Midland itself with the Bradford designed FA Cup. Speeches and toasts will be made over the course of the evening. Many players from Bradford City’s FA Cup quarter final of 1976 will be in attendance (incidentally, it is 35 years since that remarkable achievement) as well as representatives from Bradford City. Finally, Stuart McCall, one of few former City players who have appeared in both the English and Scottish Cup Finals, will be one of our most honoured guests. It will be an evening to remember and a commemorative programme will be on sale. The dinner itself is a complete sell out. Thanks for your letter, which expresses in sound terms the spirit of comradeship, and the proper sentiments one would expect to see associated with the sportsman and the sport. Please express to your colleagues the admiration which we all feel for your kindly thoughts for the injured players. You will be pleased to hear that recent reports are not so unfavourable in the case of Albert Shepherd, whilst Willis has improved so rapidly during the Easter weekend that there is every chance of him appearing on Saturday. I trust we will have a splendid game at the Crystal Palace, and by our united efforts, serve to bring the professional side of football even more prominently in front of the public, as the essence of everything good in the sport. May the best team win, as you say. Again thanking you for timely and kindly letter. A fantastic evening at Bradford Industrial Museum attended by over 300 people. The celebration of Bradford City's 1911 FA Cup win was officially opened when Mary Needham, granddaughter of City's first chairman, Alfred Ayrton, cut the claret & amber ribbon. Alexander Jackson, who works for the National Football Museum, said that in his opinion it was the best football related exhibition he had ever seen. 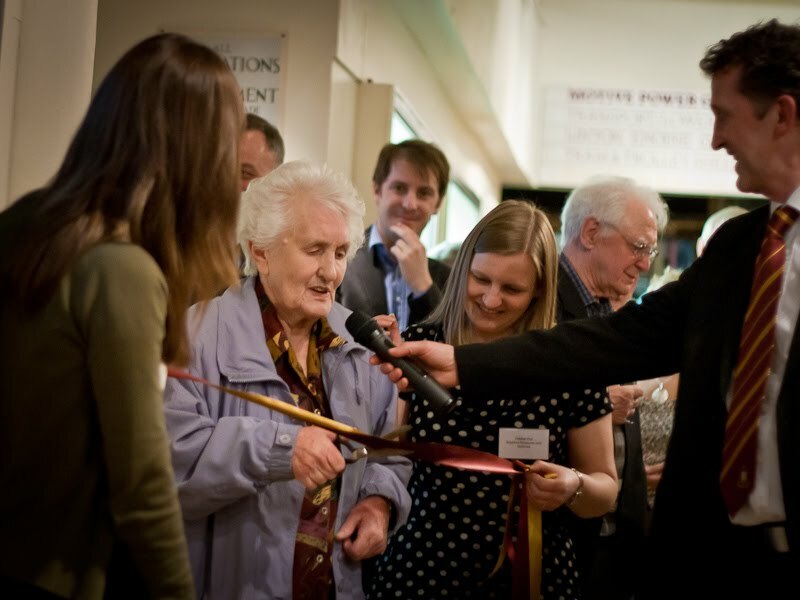 You can see more launch pictures here.